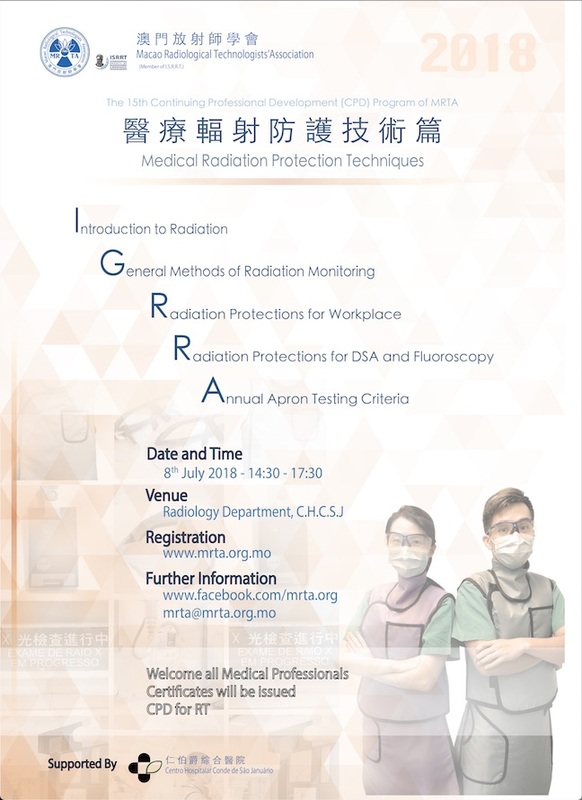 The 15th Continuing Professional Development on Medical Imaging Technology 2018 – Medical Radiation Protection will be held by MRTA on 2018/07/08. All medical professionals are welcomed and it is totally free of charge! Certificates will also be issued to the participants.